These components may be priced and sold separately. Additional materials such as brick, stone, block and additional clay flue liners may be needed for base, surround and chimney. 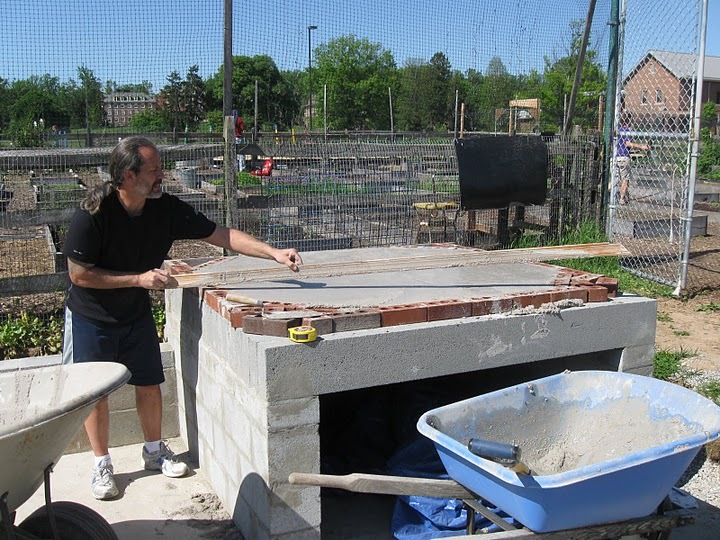 1) Build masonry base at least 64" wide and a little deeper if you want a hearth extension. 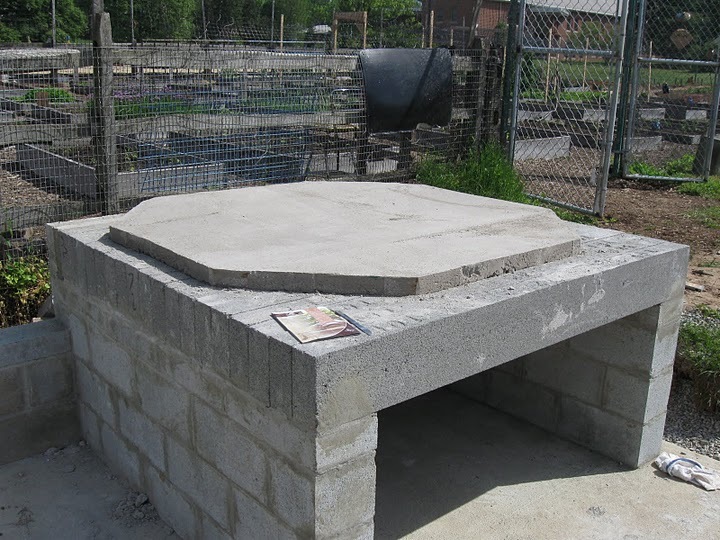 Build the base 38" high for a finished oven floor 42" above the kitchen floor or ground. 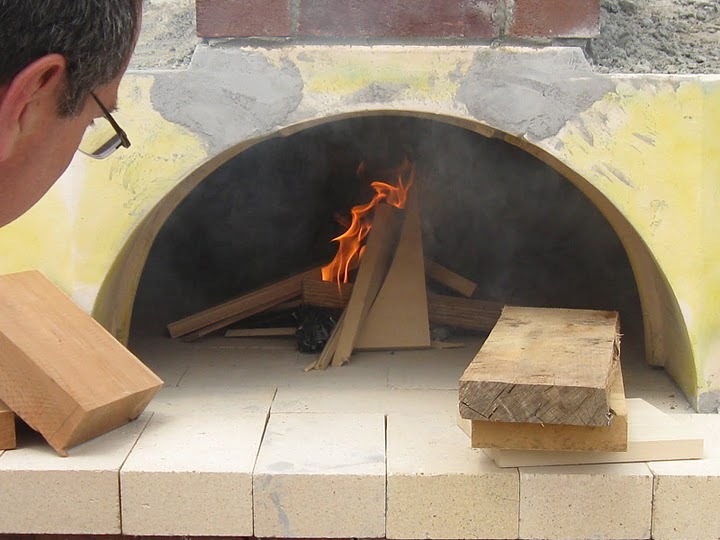 The inside of the oven is 48" in diameter and the walls will be at least 8" thick so the rectangular or rounded base should be at least 64" wide and 76" front-to back-to allow for a 12" counter or hearth extension in front of the oven entrance. 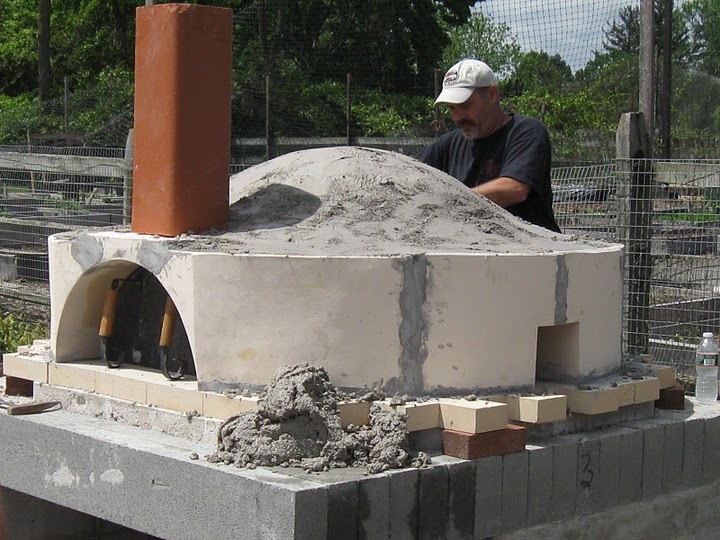 2) Cast a 2" thick layer of insulating refractory concrete on top of the base and set the firebrick oven floor directly on the insulating refractory concrete. 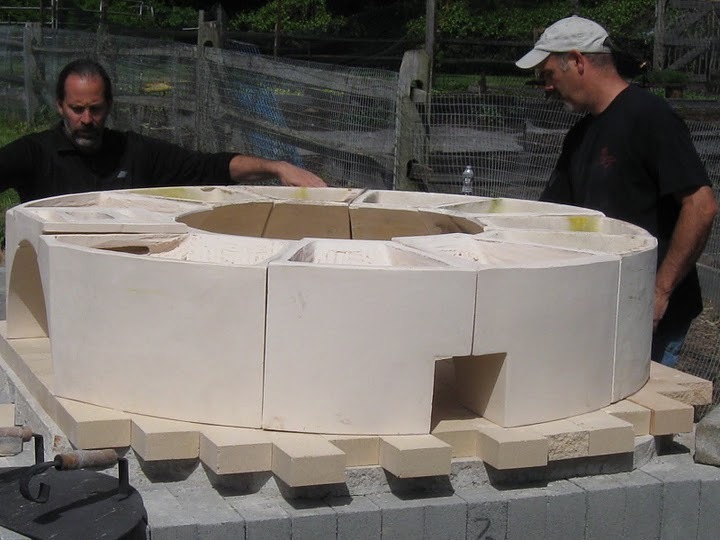 3) Lay out a 48" circle on oven floor and set the entrance tunnel and five base sections using HeatStop II refractory mortar. 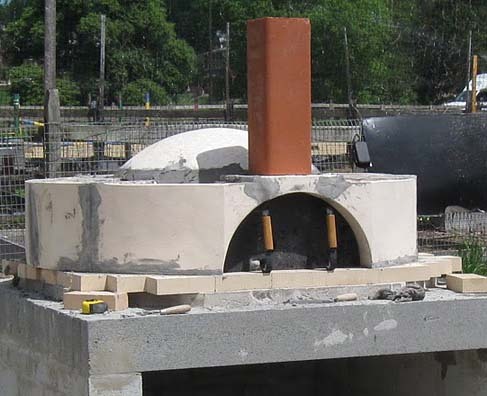 4) Set the oven dome on top of the base sections in HeatStop II refractory mortar. 5) Parge entire oven with insulating castable refractory at least 2" thick. 6) Add more insulation over the castable insulation. 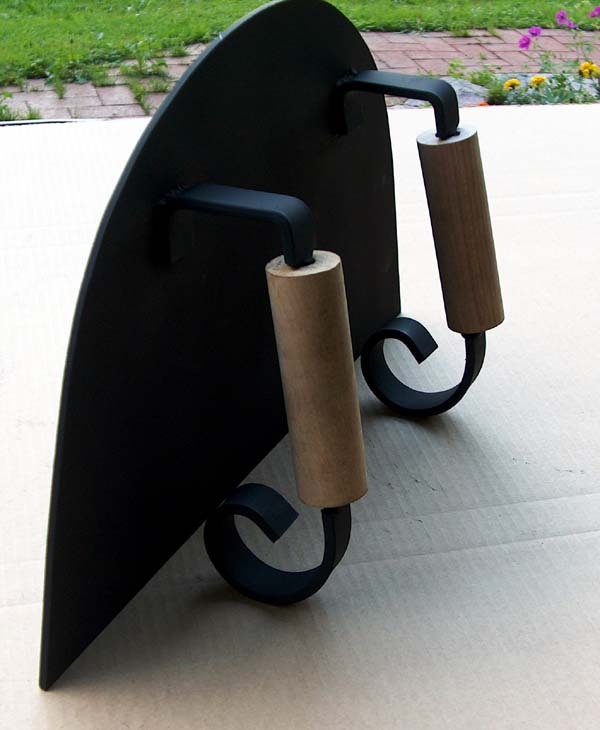 Inexpensive pearlite or expanded shale mixed with a little Portland cement is okay - or use mineral wool. 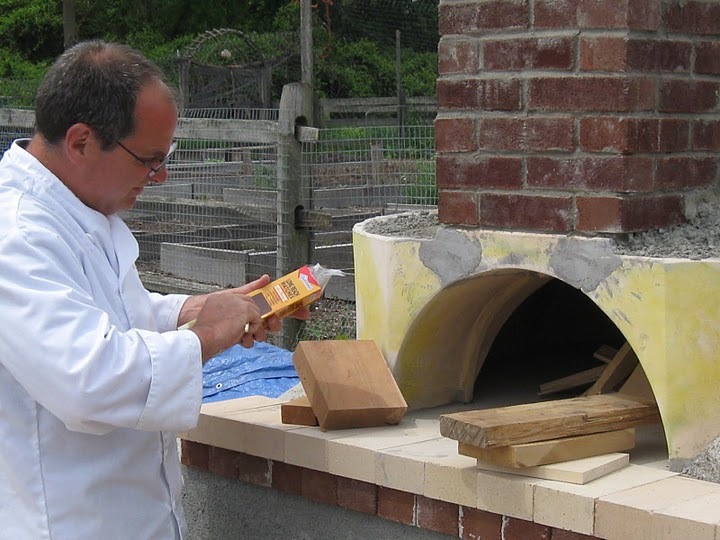 Whether the oven is associated with a cooking fireplace and large chimney mass or is a stand-alone oven, the exterior masonry enclosure should be isolated from the oven shell by an air space or a layer of compressible insulation like mineral wool so that, when the oven liner expands with heat, it doesn't crack the exterior masonry. 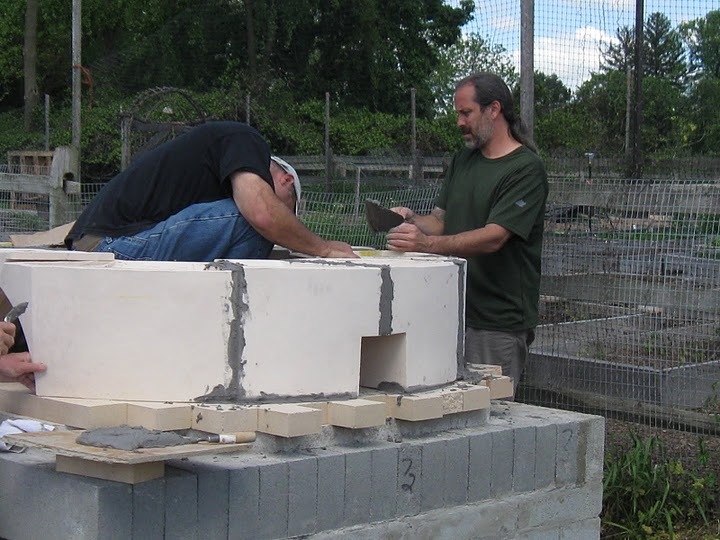 Some masons use metal lath held away from the oven shell with spacers to create an air space and then plaster the oven dome. 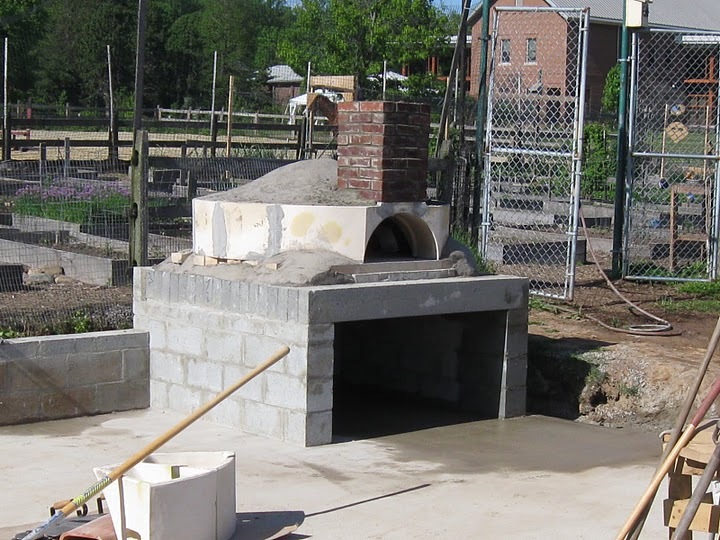 Many ovens are covered by a roof to keep rain water from entering any cracks in the exterior. 7) The flue liner should be enclosed within a chimney with walls at least 4" thick of solid masonry. If the chimney is inside a house it must conform to all applicable codes dealing with clearance to combustibles and height above the roof. If the oven is outside the flue need only be enclosed in masonry as high as is desired and clear of combustibles. 8) An entrance cover for the oven entrance is provided. Set just in the front of the entrance, the cover allows enough air in for combustion. 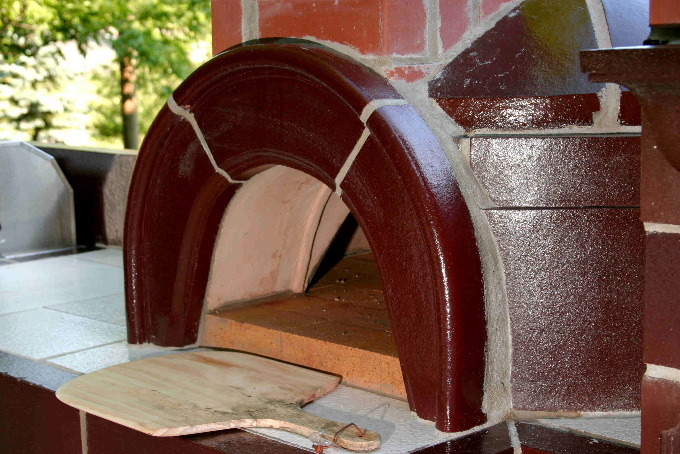 The cover can be pushed in farther against the seat in the tunnel to close off the flue to keep the oven warm longer after the fire has burned out. 9) Secondary air is not necessary but can be added to speed up combustion and reduce emissions in the early part of the fire.